Imero Gobbato was born in Italy in 1923 during the brief hiatus between the spasms of global war. He studied the art of painting in Milan and Venice where he became associated with the Italian Neo-Impressionists, artistic cousins of the French painters Seurat and Signac. 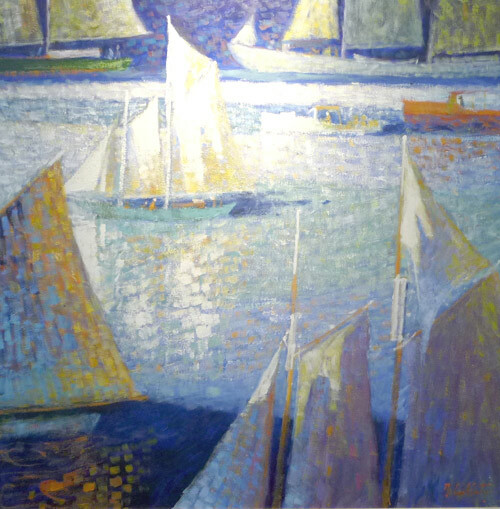 A core member of the gallery roster since its inception in 1981, until his death in 2010, Imero Gobbato’s oils and acrylics continue to occupy a prominent position on the walls of Harbor Square Gallery.